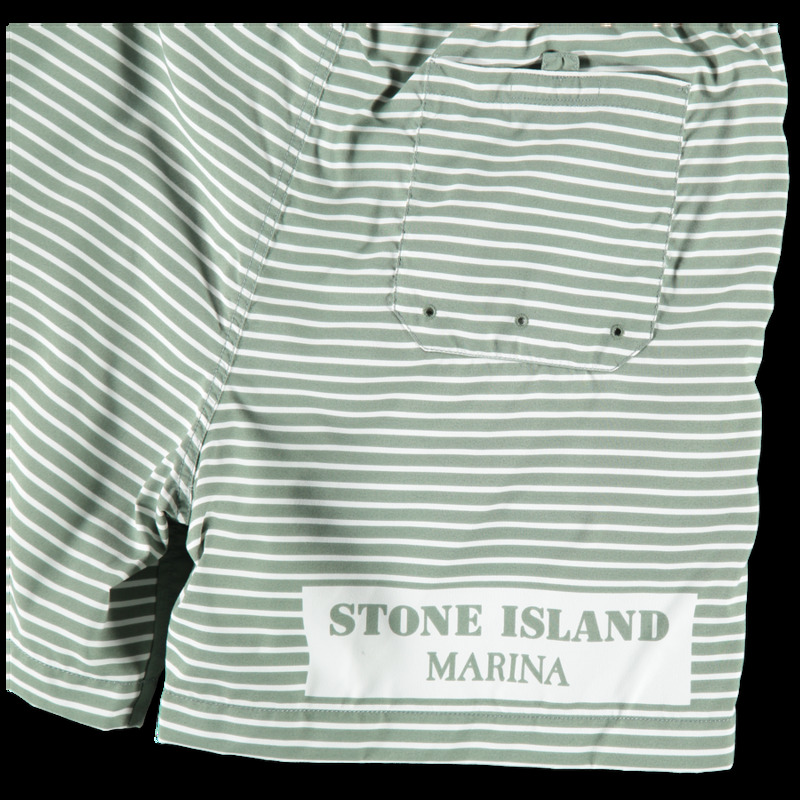 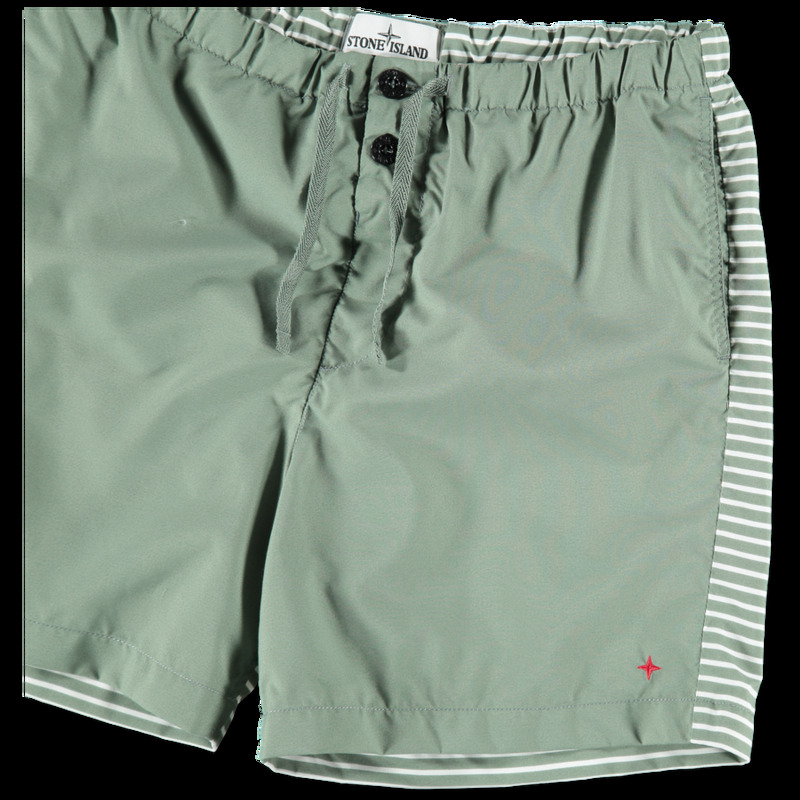 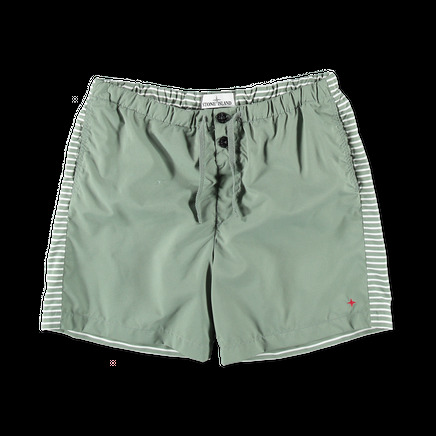 Short Marina swim trunks with a solid color front and striped back with Marina branding. Elasticated drawstring waist and button placket. 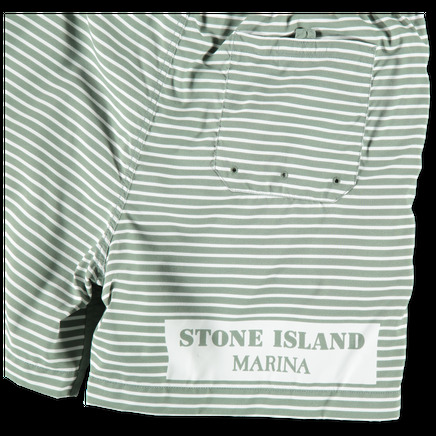 Small star embroidery on hem.